A pioneering adaptive-reuse property, the 500-unit landmark building was originally a 19th Century cotton mill. Transformed into lofts in the 1990s, it withstood a wicked fire in 1999 and a tornado nine years ago. Down the road from the General Store—past the environmentally-themed charter school that we’ll have to discuss in another post—are the Rivermill Apartments. 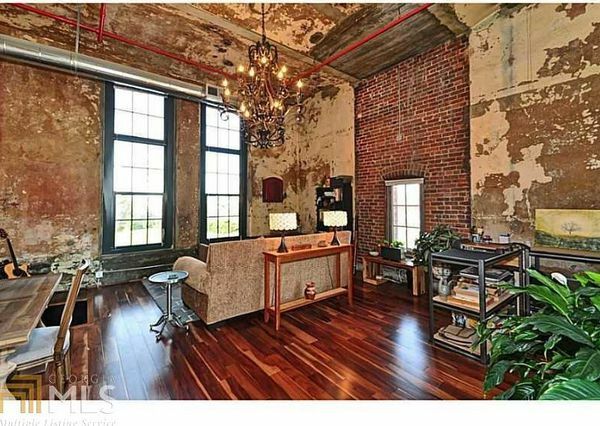 Housed in the former cotton mill that was the center of Saxapahaw until it was destroyed in a hurricane, the apartments overlook the Haw River. While at first glance they look like expensive yuppie flats, the apartments are actually mostly rentals and seem to house folks from all walks of life and a variety of income levels. Similarly the former mill workers’ cottages are mostly rented out, while a more expensive conversion of an adjacent mill building is currently underway that will feature solar hot water, geothermal heating and a number of other green building features. via How a Village Became a Hub for Resilience and Rock & Roll : TreeHugger.